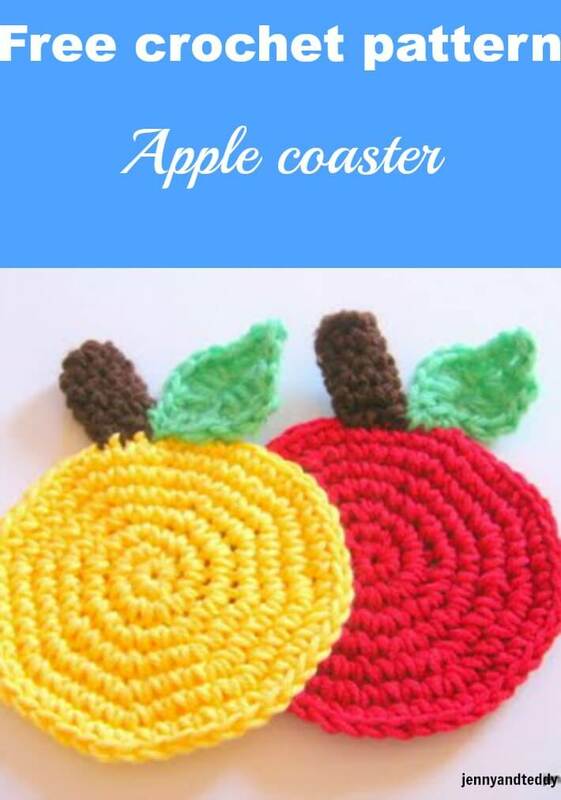 This delicious ummm… yummyness apple and grapefruite coasters will brighten up your meal or a great gift. I choose cotton yarn to make because they are super absorbant and also easy care.This pattern is very easy for beginner too. Hope you enjoy to makeing them. For instruction on how to make magic ring,and basic technique to make try this tutorial. Beginner start here on how to make magic adjustable ring. 1.In this pattern, you will work in the round continuously. You may use a removable stitch marker or a short piece of yarn of contrasting colour to mark the beginning of each round. At the end of each round, you will not join, but begin the next round in the next stitch. 2.The stitch counts at the end of each round are given. Round7. Sc in each st around (48) and finished off. Round1. Sc in 2nd chain from hook, sc in next, 2dc in next, 2dc in next, work sc in last 3 sts. Now working on the opposite side by repeating round1. and finished off. Round2-5. sc in each st around (7) and finished off. Finishing by sewing it together. Thanks for the lovely free pattern for these! hi i want to know what type of yarn i have to use to make baby hats ,sweaters and kitchen mats. it depend on what kind of yarn you like to crocheting, cotton,arcrylic,wool etc. Cuteness! I’m imagining pumpkins for the fall…pinned! These are so cute! I’m planning on selling at a local (MN) craft sale in a couple months — would it be OK with you if I sell these there? They’ll be so popular now during harvest season! These are so cute. And seasonally appropriate too with fall just around the corner. Love it! Thank you for linking at the In and Out of the Kitchen Link Party. Hope to see you again next week. So cute! My name is Katie and I host Fall Into the Holidays, now open. All entries get pinned. I would love to have you link up!